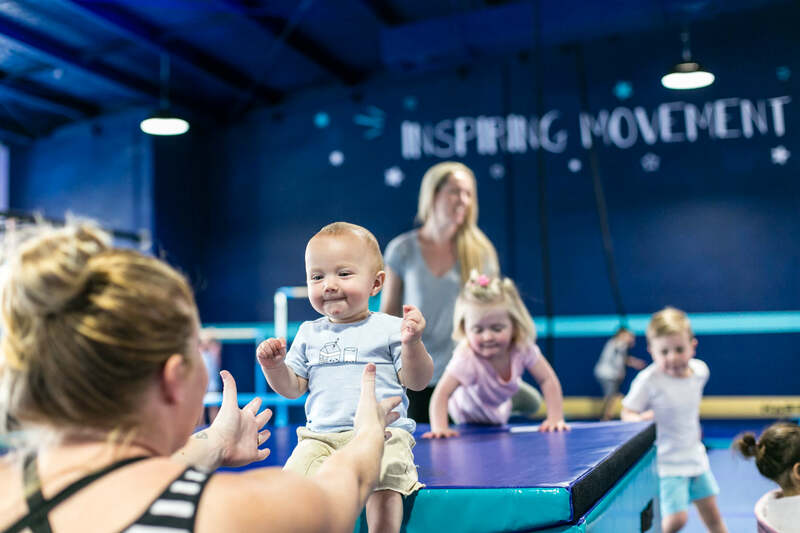 Your little Wallaby will build self-confidence by interacting with other Wallabies and will explore core movement patterns, with parental guidance and help. This class promotes body awareness and vital movement skills. We teach joeys to understand spatial awareness and develop movement control with your assistance. Within this class we also introduce a variety of fitness activities and incorporate basic coordination, strength and teamwork skills. This class aids in school readiness, through the refinement of essential movement. This class advances your pup and gives them their first taste of our dashing dingo and speciality classes. 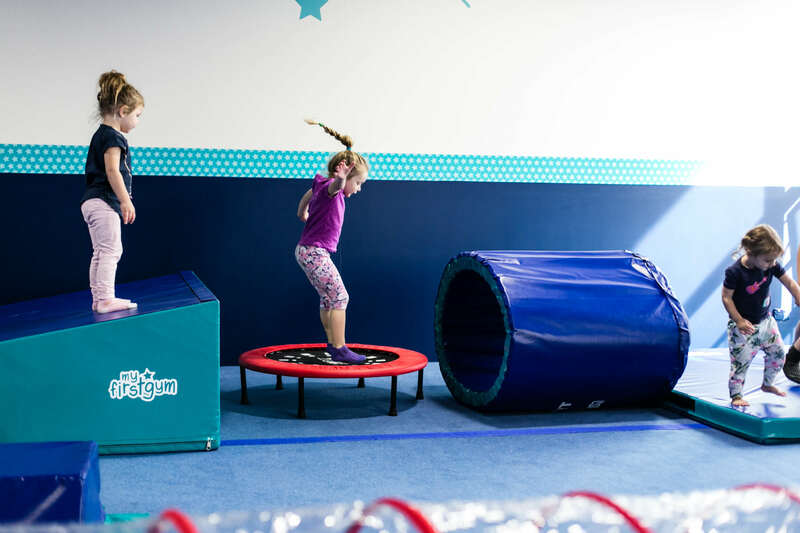 We focus on early gymnastics, dance, bootcamp and ninja warrior. We teach our pups to understand the importance of movement and give them the fundamental knowledge of exercise. Within this class we also introduce a variety of higher level fitness activities for their age and incorporate coordination, strength and teamwork skills. This class aids in school readiness, through the refinement of essential movement. Dashing Dingoes teaches competency in basic fitness activities. 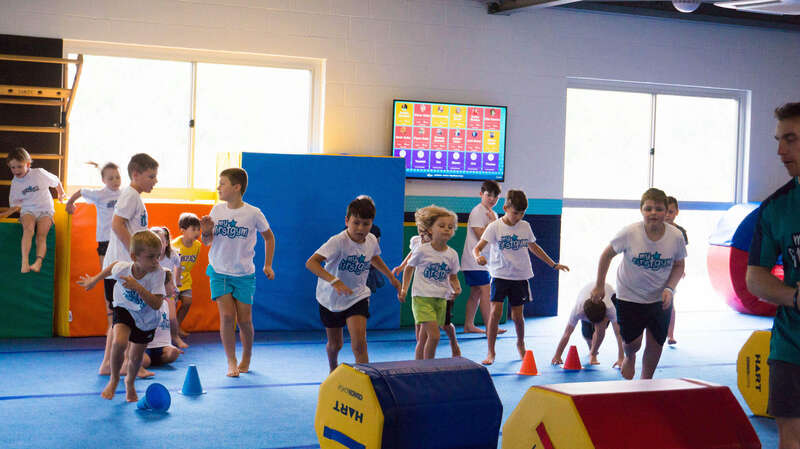 Racing Roos will develop movement skills and functional training modalities by introducing fundamental fitness learnings that your Roo can take with them into everyday life. This class ensures Alligators enjoy the workout experience and learn to push themselves to the next level and master the tasks they participate in. 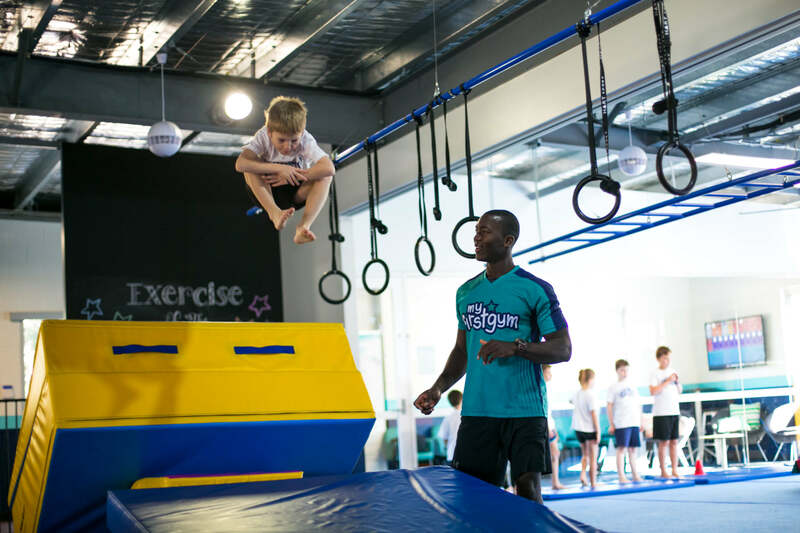 MyFirstGym is super excited to be the first destination for kids Parkour in Australia! 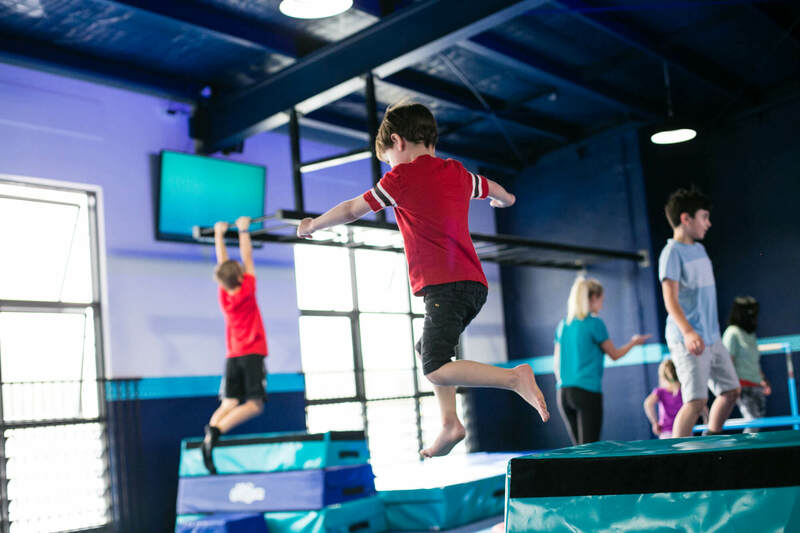 We have partnered with the Brisbane Parkour Association to give your child the opportunity to learn from leading instructors who are taking Parkour to the next level. My First Ball Sports is designed to introduce your child to concepts and ideas of ball sports. This is where they will practice hand/foot eye coordination, skills such as throwing/catching, bouncing, kicking and aiming. This class will also help your child practice their spatial awareness, cognitive understanding and following along to an idea or instruction as well as being introduced to a variety of ball sports. This class is all about school readiness, socialisation and honing in on fine and gross motor skills. With 15 mins circuit and 15 mins craft, kids will be learning the letters and sounds, all while having fun! A kid’s first taste of the fun of team-based fitness. 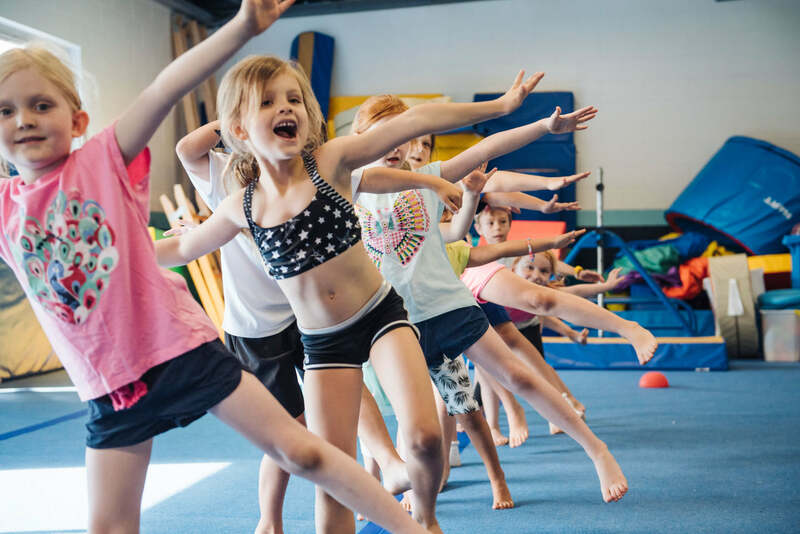 This class combines the principles of team sport and group fitness classes popular with so many adults to give kids a real taste of the fun of exercise. Kids will learn how to be part of a team in a friendly competitive environment whilst improving their physical fitness. Working in a team teaches children the important life skill of working with others toward a common goal. 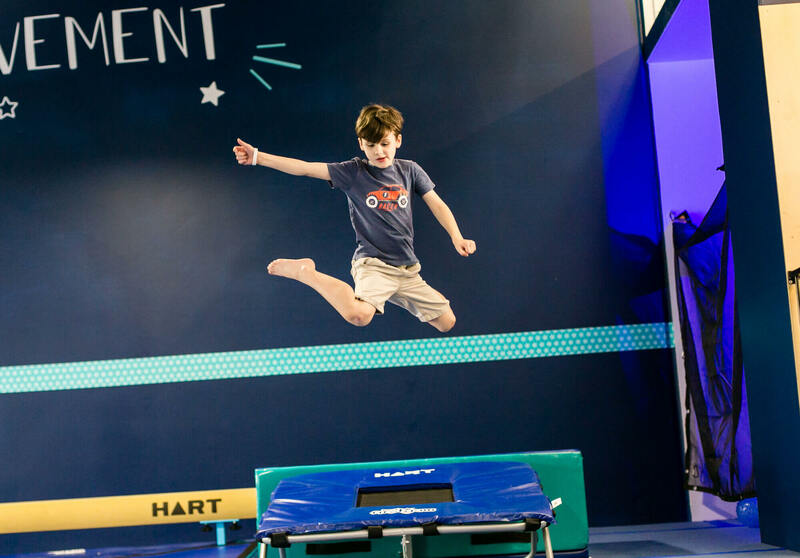 My First Fit Club uses a team-based approach to fitness to allow kids to feel a sense of community and camaraderie, develop communication skills and to learn respect for their teammates and coaches. This class will provide the foundations of traditional physical fitness for your child and valuable life skills to prepare them to be healthy active young adults.